It is about time we reorganized our website, and the products we offer. We’ve been able to see what our customers actually want from us, and are shifting our focus to serve them better. 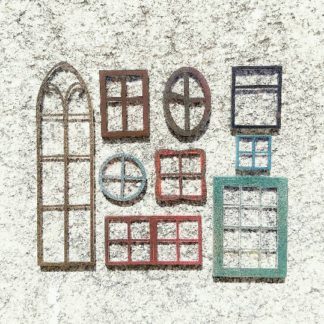 Those products have evolved into 3 major categories – 1) Dollhouse miniatures, 2) Engraved glassware/mugs, and 3) Contract Engineering/Design services. So we have gone through the product catalog and honed it to items that fit those categories. Will slowly liquidate the remaining electronics except for a few items and possibly some kits that were our design and we should put together again. This is actually freeing, because it makes me happy when my customers are happy. 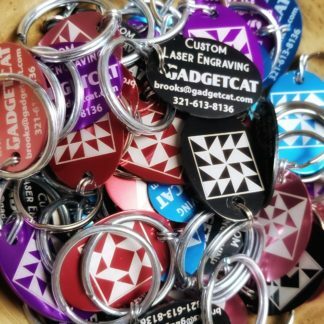 And repeatedly over the last 2 years, my happiest customers are the ones I’ve served with intricately detailed dollhouse windows and doors, and provided promotional glasses and keychains that have helped their businesses succeed. It is a bit of a relief to let go of some things so I can focus on these avenues of service. 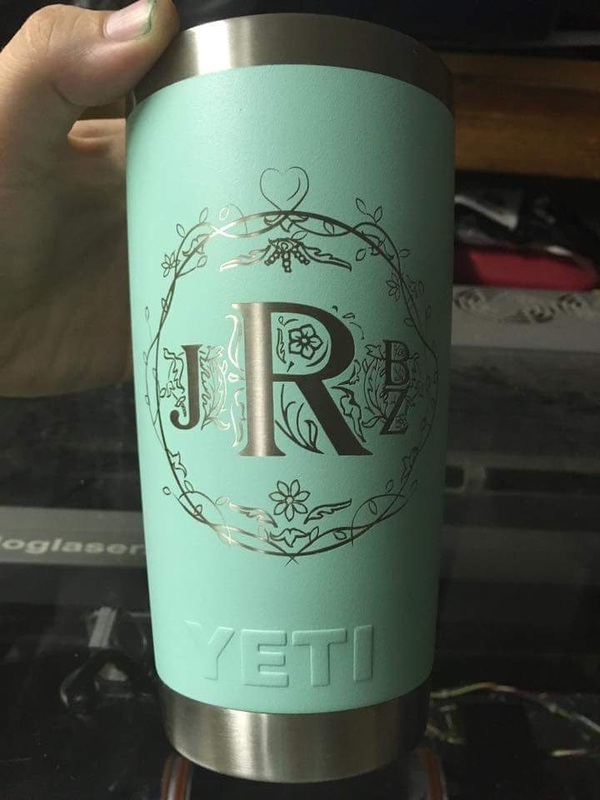 Laser-engraved keychains, and engraved Yeti / Ozark mugs. 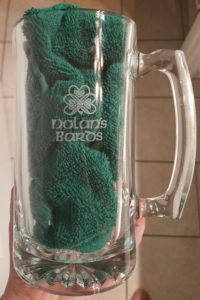 Custom mugs for every budget. We also offer design services. 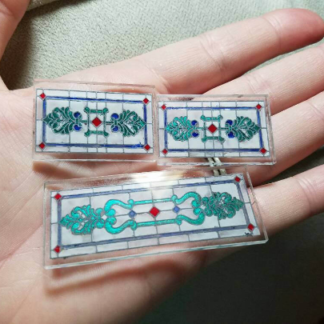 Elegant Stained Glass Dollhouse windows and doors. It is like a tiny escape in your hand. Contract Engineering and Design services. We have offered these along the way, and will continue to serve these customer needs. New: Rotary Engraver for glasses, mugs etc. Finally got another rotary engraver (the old one we sold with the old laser last year). 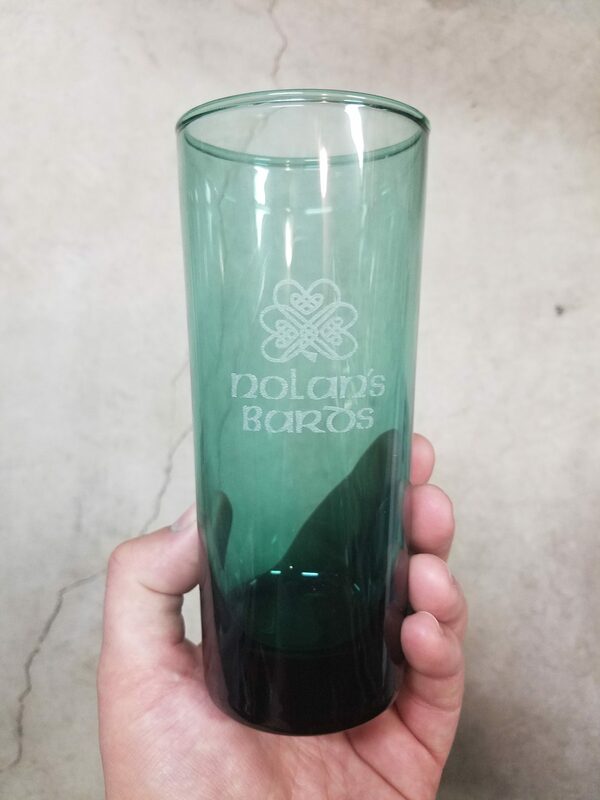 Here are some glasses we made this week. 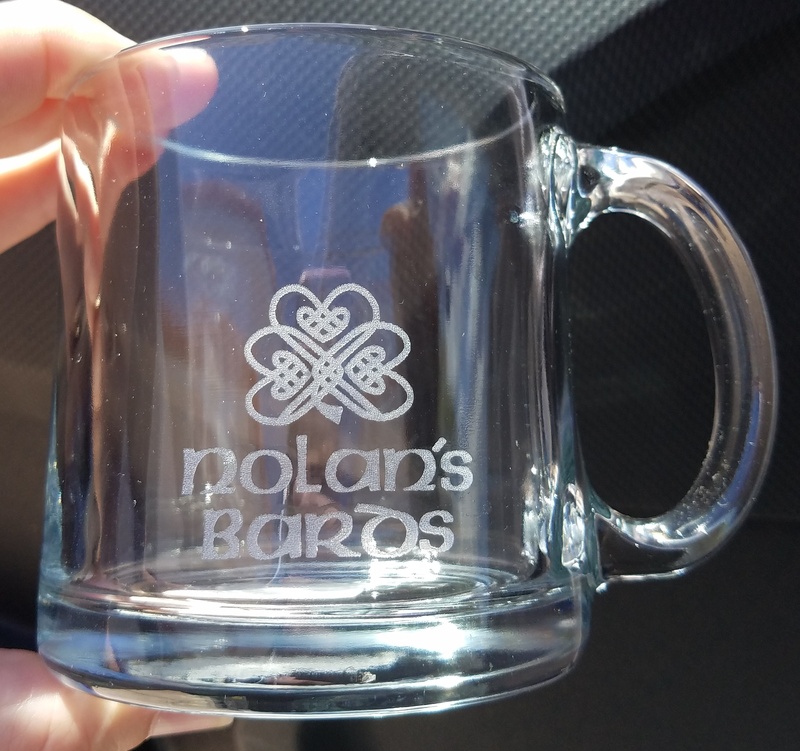 Send us a message if you need glasses for promo materials, wedding/party favors, etc. We can also engrave mugs and make custom keychains. Update: We have transferred the distribution for central Florida Bawls Guarana to another local company. They are currently building their brand website, until that is available we can send you their contact info directly (just email or call us). They have nearly all available flavors in stock, and are now taking care of our existing BAWLS customers. Every backorder that is left (except one) has either a lasercut case, or an Arc Reactor kit. 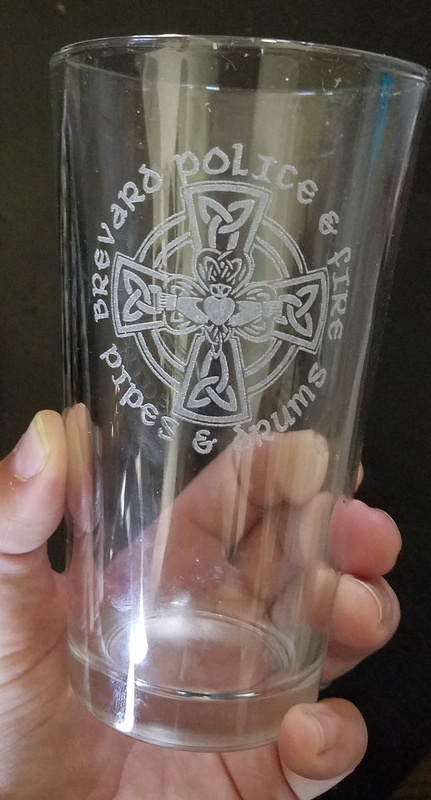 The laser is running again and am working on getting those orders out. The remaining orders that have Pi V2’s, I am upgrading those to Pi V3. The Pi V2’s were out of stock with a February leadtime. Not acceptable. 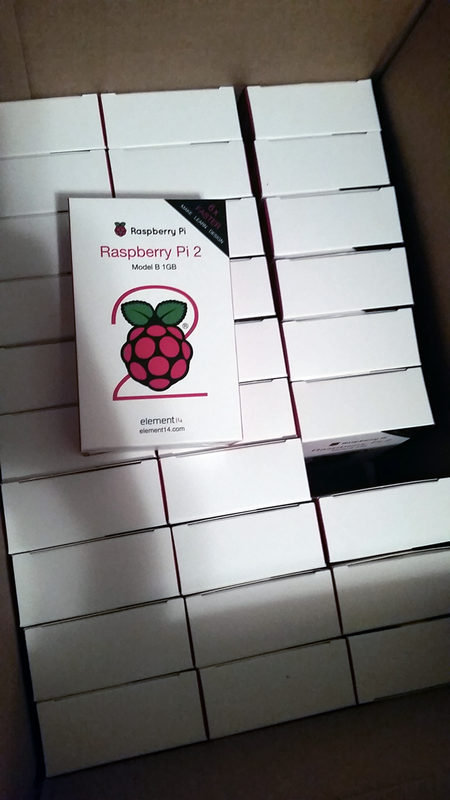 I have the remaining Pi V3’s on hand now and all I have left to do is cut these cases. A number of people ordered the screen Pi case, but ordered the larger 430×320 screen. That case doesn’t fit that screen. I need to redesign the case to fit. I will cut and send out the orders for the 320 screens first then deal with the new case design. Making progress – finally below 100 backorders!! The baby is now sleeping through the night finally. This has given some time to catch up. I’ve shipped out over 700 store credit orders. The total value of store credits I have shipped so far is $49,415.51. Not counting the shipping expenses which average $12-$25 each for orders outside the US. As a reminder, this is money and inventory that is coming out of my own pocket. I was never connected with the original campaign and never saw any of that money. I volunteered to help with this because I thought I could produce the boards but the timing was extremely bad and the engineering help for getting them produced fell through. Since I had already announced I’d help before this problem occurred, I was committed and tried to figure out creative ways to solve the problem including the store credit option. Making progress at getting costs under control here. I closed both offices at the end of February, sold off some of the manufacturing equipment, and will be in a cheaper apartment by the end of the month. I am trying to do a part time job now, it is still pretty new and we will see how it goes. Regarding specific order items – if your order does NOT contain a backordered item, it -should- be shipped out within the next 2 weeks. 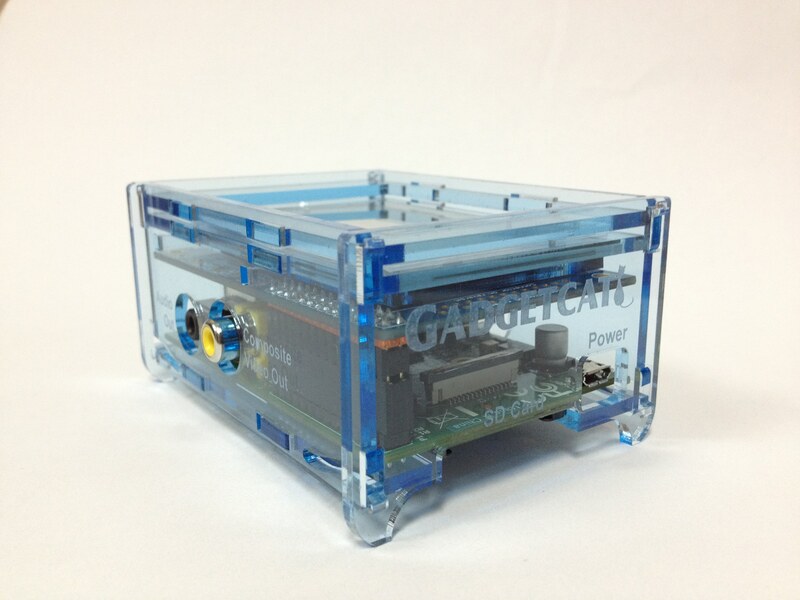 Backordered items include lasercut cases, arc reactor kit, raspberry pi V2, or sainsmart kits. Arc reactor kits and lasercut cases should go out by the end of the month. I have been intermittently sending out SainSmart backorders, for the most part they have been oldest order first. You will know when your SainSmart order is sent out, because I will forward the order confirmation, and the shipping confirmation, to your order email address. There are still some people who ordered a PiTFT lasercut case with the A-2441 screen – it DOES NOT FIT THE 2441 screen. It is for the 1601 screen. I haven’t designed a case for the 2441 screen yet. No ETA on that design, if ever. If you ordered a 2441 screen with a 1601-PiTFT lasercut case, I will move on to the orders that can be filled and your order will move to the back of the queue, to be dealt with later. The financial situation is slightly improved. I closed both of my offices in Melbourne and Longwood to contain costs and reduce the amount of driving I had to do. It often took me 40 minutes to drive to the Longwood office. I also sold the large laser cutter and one of the 3D printers. Now I’m down to a manageable amount of equipment. Getting the office set up in the new location (home). Much more manageable commute. Also now that the baby is 4 months old, she tolerates a sling and carrier better, which makes it a little easier to get things done. FYI. If you have a store credit order, the -fastest- way you will receive your order is if you select items that are in stock. Stuff I have to buy (backorder) requires cash and laser stuff requires time to cut and assemble. If you are in a hurry to be done, your best bet is to pick stuff that is easy to pack and ship. Information to help me help you. Also the Sain Smart kits I am now drop shipping from China. I’ve heard reports they’ve taken 3 months to arrive, after ordering. Ugh. There’s not much I can do about that. SainSmart sends me a tracking number when they ship, and I forward that tracking number on to the customer. When I ordered them directly myself, the shipping time wasn’t much better and for some orders it cost me as much as $25 to reship them. The savings on the shipping were much higher than the bulk discount SainSmart was giving me. If you ordered a kit with other items, I will separate it and send the other items separately. Since I don’t have any exciting product photos, I’ll attach a picture of my baby’s new tooth. It’s hard to see but it’s out! So sharp. Well, I guess I do have a work picture to post. 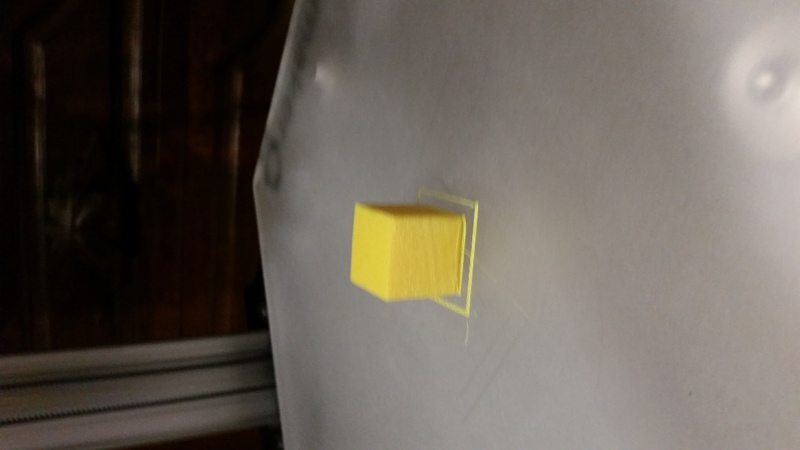 Here is a calibration cube I printed with one printer. Of course after it printed that it stopped working again. Oh well. It’s a good printer but no printer is going to handle well, the moving that I’ve been doing. Well I wish I had good news but I don’t. I was waiting to post an update until I did, but it’s been too long so I need to post one anyway. So far, despite having shipped over 500 of the promotion orders since August, the backlog hovers between 160 and 200 orders. The kit and Pi V2 orders require me to pay cash out of my personal funds, and so I’ve had to prioritize paying customers in order to fund the next round of fulfillment. And even those jobs have been challenging with a new baby. For those who are no longer interested in waiting, I will be happy to refund any money you have paid to Gadgetcat, although I won’t be able to provide refunds for store credit since those require cash that was never in my hands. Just got in 100 Pi V2’s today. A lot are already promised to backorders but there should be a few left after that. I hope.. 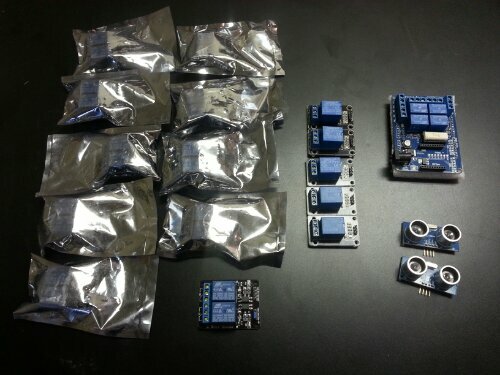 The first batch of SainSmart kits came in about 2 weeks ago. However it was only 100 and they are mostly shipped out at this point. I’ll need to order another batch. Hopefully I won’t have the same shipping issues that I had last time with them. Finally below 200 orders in the queue!! Baby is helping me with shipping. Store credit vouchers caught up!! As of this minute, the store credit vouchers are all sent out! Will keep an eye out for new survey responses. Not surprisingly there will be a shipping backlog. But we will get all the items out eventually! This will cover about half of the backorders. I just put in the order for the rest of the backorders, and some extra. The first batch of screens should arrive early next week. So if you pre-ordered a screen plus a V2, I’ll wait until those come in and ship them together. Note that there are 2 types of screens available for pre-order. One is for the original Pi B, and one is for the B+/V2. Some of you ordered a V2 Pi and a B screen, or vice versa. Also, some of you ordered a B+ screen, plus a case for the B screen. Easy mistake – we don’t have a case for the new screen yet. I’m pretty sure the new screen will NOT fit the old case. Adafruit says it fits slightly differently, to make the screen line up properly with the B+/V2. So I (or my engineer more likely) will need to design a new case for the new screen. As soon as the new screens arrive, we’ll get started designing the new case. I’ll contact those people individually as I get to their orders, to confirm what they actually want. I just contacted SainSmart today about starting to order Arduino Uno kits and ethernet shields. So far, the lead time seems to vary. I had one order placed Aug. 23 that shipped on Aug 27, and another order placed on Aug 27 that shipped yesterday (9/11). 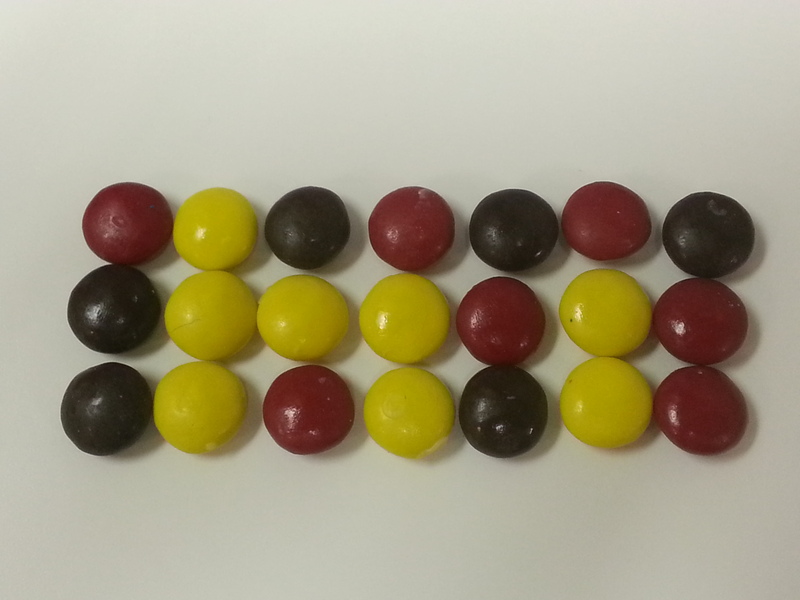 I ordered 100 this time, so I’m guessing with this quantity, it could be awhile. But the process is started. Shipping separately: Some of you placed orders for kits/ethernet shields plus other items. For a lot of these orders, I decided to ship the in-stock items now, and the kits later. Since some of these orders are a week old at this point, and it could be a number of weeks until the kits arrive here. I had a few kits on hand from the first (very small) order, and I’ve shipped those out to a few people. Mostly the first few orders. There are a few orders that I didn’t split up, either the customer said it was ok to wait, or there were only one or two other items in the order. Current shipping strategy: start with the “easy-to-ship” orders (parts that are already made, don’t need to be assembled or backordered). 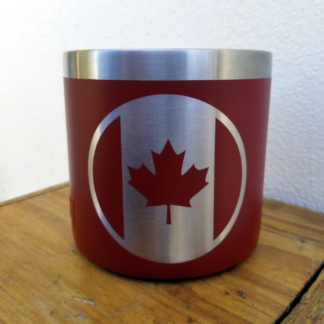 That is getting a lot more out quickly, then I can put together the orders that require custom-made products in batches. Otherwise it was getting discouraging to open order after order, and have to set it aside for backordered items. I needed a “win”. As one of my sister’s professors used to tell her, “You need a ‘win'”. What he meant was, find something to do that will be successful, and that will give you the encouragement to start the next problem. So I went through all the outstanding orders yesterday, and classified them by what was ‘missing’ from each one (e.g. a V2, a screen, etc). Then the orders that weren’t missing anything, I went ahead and shipped. Got a lot of orders out that way. Yesterday’s “win”. The “needing a ‘win'” is probably a good strategy for learning about Arduinos and Raspberry Pi’s as well. I see a lot of people who get an idea for a very ambitious project, and they start to dive into it and quickly hit a wall. They become discouraged and then quit. But to start with a smaller project, one with tutorials, then people feel like “Yes, I can do this!” and they are encouraged to continue. And meanwhile they are learning skills that they can bring to their next project. I had an experience like this when I was in college. Sometimes if you set an advanced project aside, and work on other projects, then later suddenly you will realize how to do the first project. 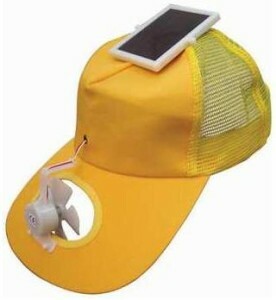 My second year of college, I had a hat with a tiny solar panel-powered fan that I’d gotten on a trip to Rome. It was fun. It blew air onto your face to help keep you cool. 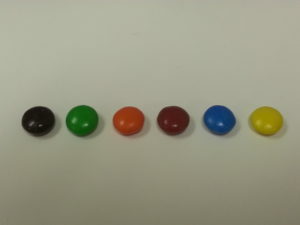 It looked a lot like this. At the time, I lived in Vermont (northern US, near Canada). After I returned home with the hat, I discovered there was not enough sunlight in the state of Vermont to power this fan. So I wanted to put a battery into the hat somehow. But I couldn’t figure out how to do it, so I put the hat in a drawer for several years. 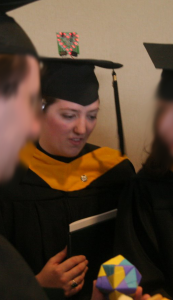 The night before the graduation ceremony for my electrical engineering degree, I was decorating my mortar board. 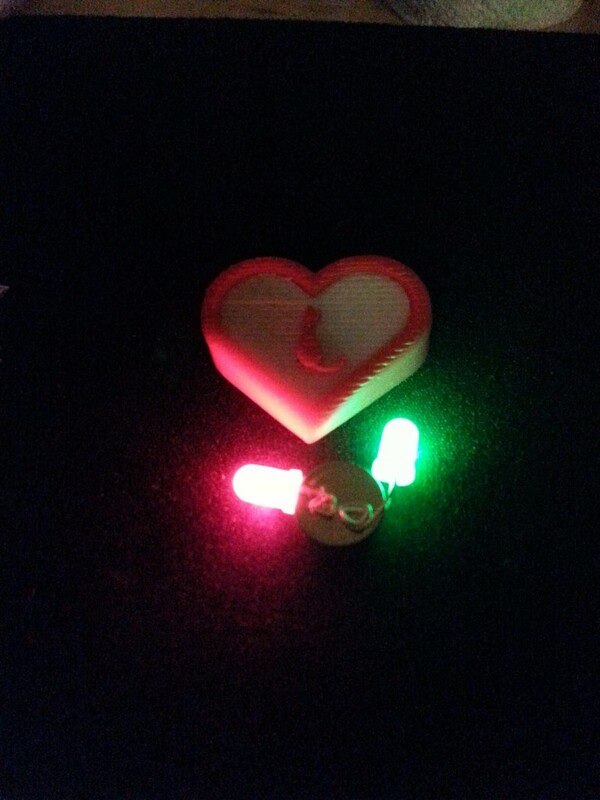 I’d assembled a kit with a blinking heart LED, and wired it into the top of my mortar board. With a switch and battery pack hidden underneath, and the circuit board attached to binder clips so it could be folded down out of sight if needed. It was completed pretty quickly, and in my project box, I noticed my fan hat. Suddenly, it became clear how to create a bypass circuit with a 9V battery and a switch. In about 45 minutes at 2am, the “impossible” project was complete. So giving something time, and getting a “win” first, can help keep roadblocks from completely derailing the fun from your projects. Do you have a story like that? Feel free to post it in the comments! A lot of you got your store credit orders in. In fact there were about 200 orders in the last week. Much faster than expected! 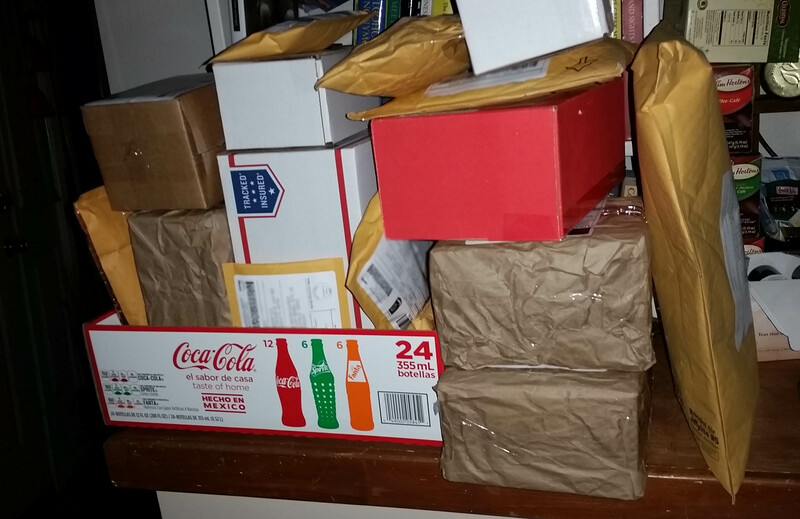 So far, we’ve gotten about 10% packed and shipped. The new labelmaker is working great. 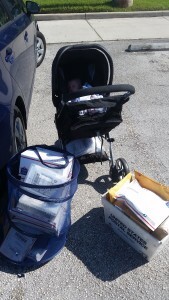 Yesterday I took the packages to be hand-scanned at the post office and the scanner worked on all of them. I’ve been trying to fill them in order, but some involve backordered items and items that need to be made on-site. 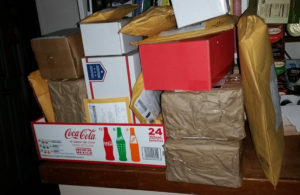 At this point, orders that contain backordered items (particularly the SainSmart items), I’m splitting into multiple shipments so they can get out. Since I haven’t put the order into SainSmart yet, and it may take several weeks after that for it to arrive. I also decided to wait for a few more days to put in an Adafruit restock order, so I can go through the rest of the current orders and make sure I get what is needed for those. 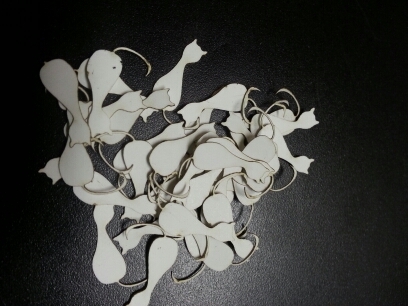 Fortunately, progress on lasercutting. I was able to move one of the laser cutters into my house over the weekend, which has greatly facilitated getting things done. 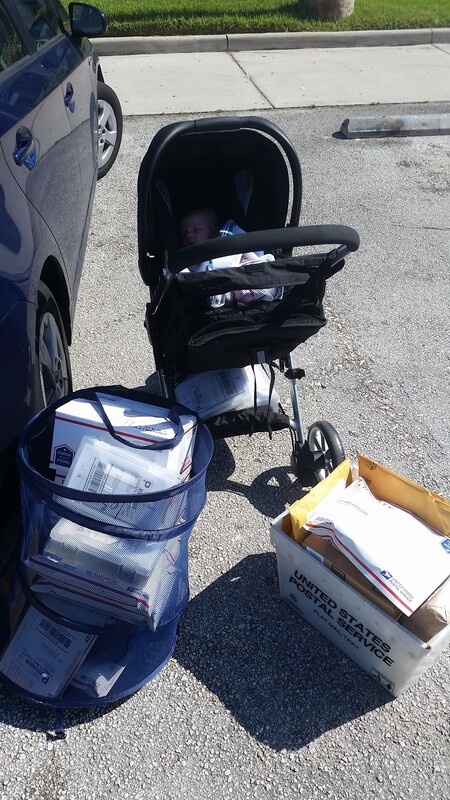 Though, being 39 weeks pregnant, the moving/garage cleaning/office conversion turned into a whole-day effort, which took away from packing/shipping. A necessary time expenditure to making things go faster in the future. Stuff is clearing out quickly, which is good news for us. We are starting to get an idea of what we should be restocking, so we can focus our direction for the future. The first new item we are going to allow backorders for, is the Raspberry Pi V2. This has been pretty popular and often requested, so we’re going to add it to our regular lineup. We are also going to start allowing backorders for the original PiTFT screen. This has been a very popular product from the beginning, and we also carry some accessory cases for it that we manufacture in-house. I noticed Adafruit is now making a larger touchscreen that is set up to fit the Pi V2. We’re going to get a starter stock of these, and allow backorders. 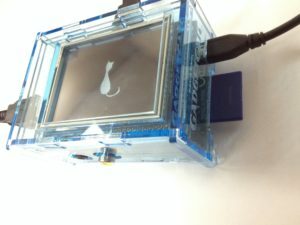 We’ll eventually design a case for this screen too, but will wait to take orders for the case until we make and test it. As before, backorders are allowed for certain items we produce in-house, which currently are mostly laser-cut acrylic cases, and some hobby kits. As can be expected, shipping is getting a little backed up. Mainly from packing orders up. If it says it’s in stock, we do have your item on hand (unless we contact you directly because of a misplaced item – the bane of my existence). So, once you place an order, it will get packed up and shipped out eventually. The other shipping issue that has come up, we’ve discovered that our labels’ tracking barcodes are not scanning reliably at the post office. This bothers us, especially for international packages. We want to know where your packages are, and we’re sure you want to know too. So, we have ordered a fancy new shipping label printer which should arrive on Saturday. I was just looking for an excuse to get one, these printers are really great. Setup for the printer should go smoothly because I already set one of these up for my other job at my dad’s company (Florida Research Instruments, which by the way, sells supplies for DIY brain sensors, in case you have an OpenBCI system and you’re looking for electrodes, headbands, etc.). We will continue packing orders, but won’t ship until the new label maker arrives in a couple days. Fortunately, printing the labels is the fast part. So once the label printer arrives, we should catch up. I’ll post another update when that is accomplished. 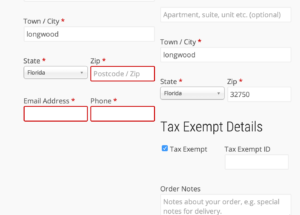 New – we have restored the Tax Exempt checkbox on the order form. If you are a reseller or a tax-exempt entity, check this box and tax won’t be applied to your order. To find the box, scroll below the shipping address and check the “Tax Exempt” checkbox. 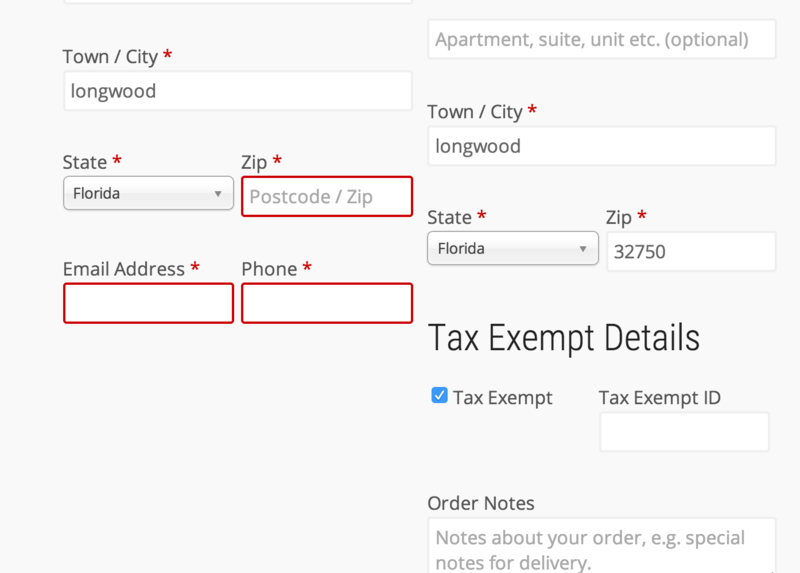 There is also a space to enter your Florida sales tax certificate number if you have it. If not, no worries, we’ll get a copy of the paper on delivery. To start things off – we want to learn to do our own web dev, and also to make some interfaces for biomedical stuff. Also, teaching more classes. 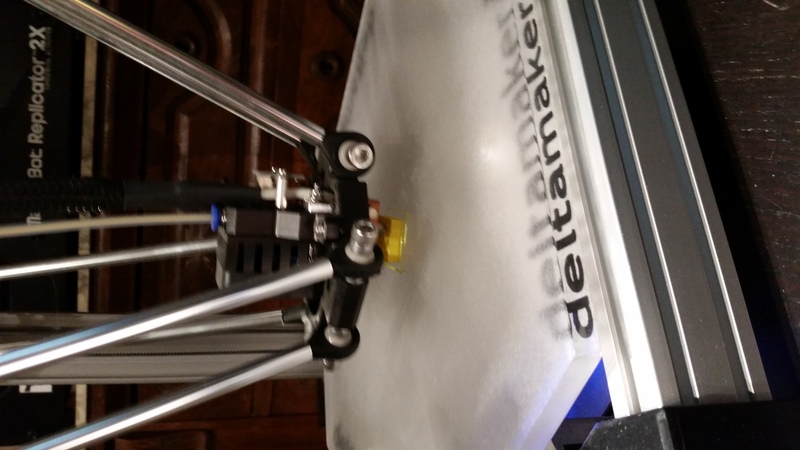 So far we’re helping run a Pebble hackathon on Sat Jan 10, and with Sunshine Labs, a 3D printing class on Jan 17, and a 3D modeling class on Jan 24. We are planning upcoming classes for Wearable Electronics, Intro to Arduino, and Conductive Paint. Email us at info@gadgetcat.com to be updated with the schedule! 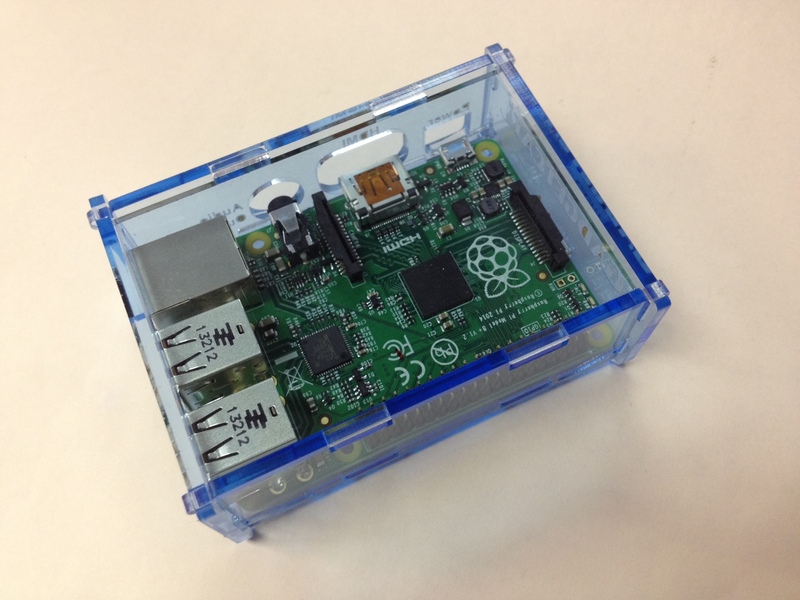 We’ve put together some Raspberry Pi starter kits. They include everything you need to get started with Raspberry Pi. 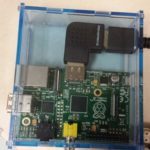 They range from a barebones kit (case, Pi and software card) to a complete mini computer “brick” (adding mini keyboard, screen, and wifi adapter). Check them out here! We’ve added a lower flat rate shipping option for those who don’t need a tracking number. We’ll try this out and see how it goes! PiPlay Kickstarter project includes custom Gadgetcat-designed case! The PiPlay Kickstarter is in its last 40 hours, and has added a custom Gadgetcat -designed case as a reward level! 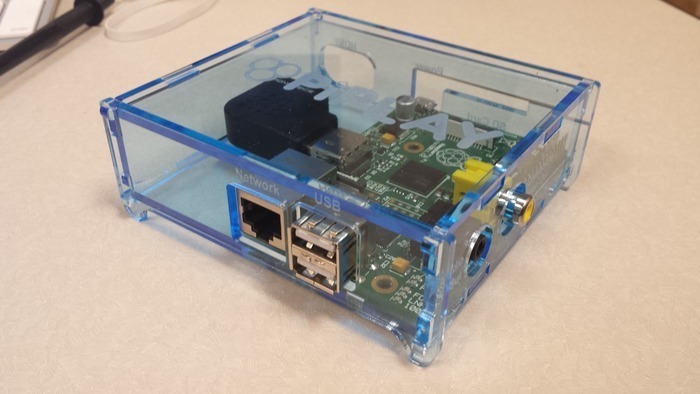 Check it out for a Raspberry Pi kit for gamers. Gadgetcat founder Brooks Zurn traveled to New York City to take part in the NASA SpaceApps competition. She was a member of team Senti8 , which developed a wearable scent-emitting bracelet to help astronauts feel more connected with friends and family on Earth. Senti8 won “Best Use of Hardware” for the New York City mainstage event, and have submitted their entry for the International competition. Check out their page at http://www.senti8.com and give them some support by liking their Facebook page, twitter account, etc. Many of the components used in the Senti8 band are available in the Gadgetcat store. Saw something like it at a conference and had to have one. 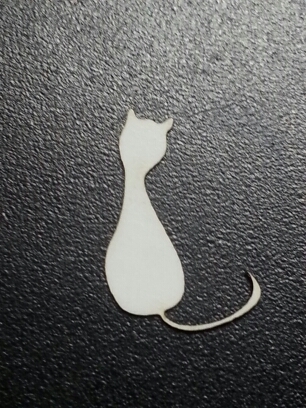 Made it on the laser cutter this morning. 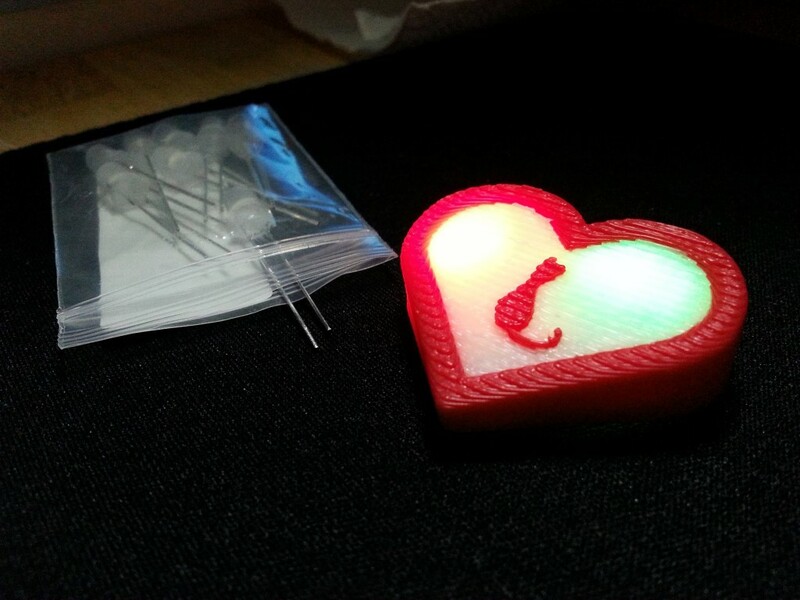 Gadgetcat has reimagined the ever-popular NeoPixel in a new, tasty form factor! Like its cousin the NeoPixel, the NeoCandy comes in a variety of appealing colors and a convenient size. NeoCandy goes well with Maker Fuel – Bawls or Cherry Bawls is recommended. 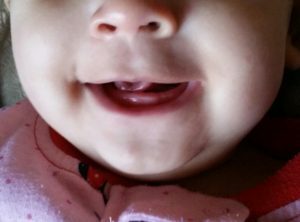 Notes: While the NeoCandy is much tastier than NeoPixels, the brightness depends on ambient lighting, and color of each is constant. However, apply enough power and you can make just about anything light up. Today is a great day for Relays. 10 dual relay boards, 5 single relay boards, a quad-relay Arduino shield. Plus a couple ultrasonic rangefinder units. Will upload soon, and update this post with product links. 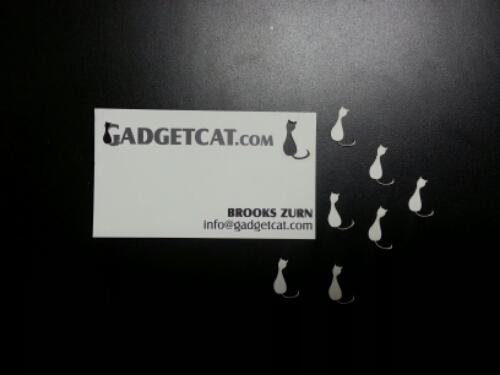 If you need them before we get to that, email info at gadgetcat.com. We love gadgets. And cats. So for Valentine’s day we combined them. Thanks to the facilities at Sunshine Labs (our new business home!) 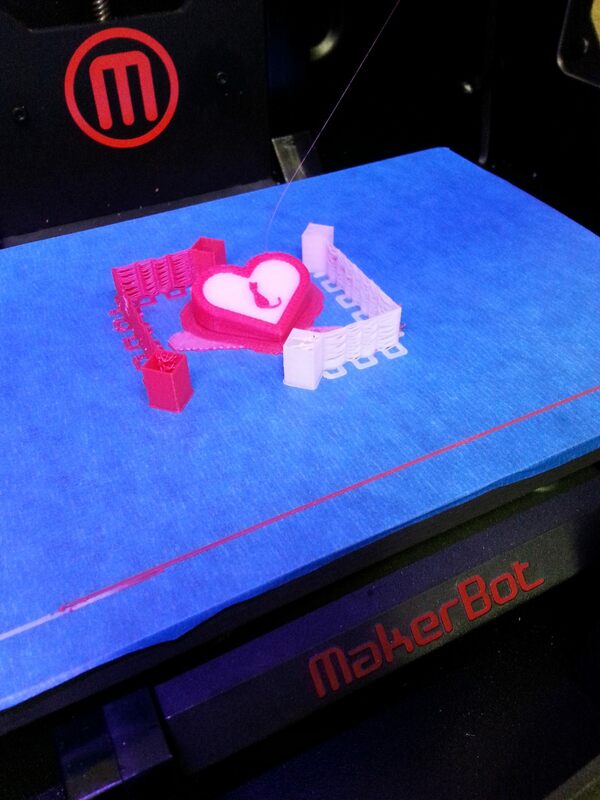 we custom-designed and made a heart with the Gadget Cat in the middle. 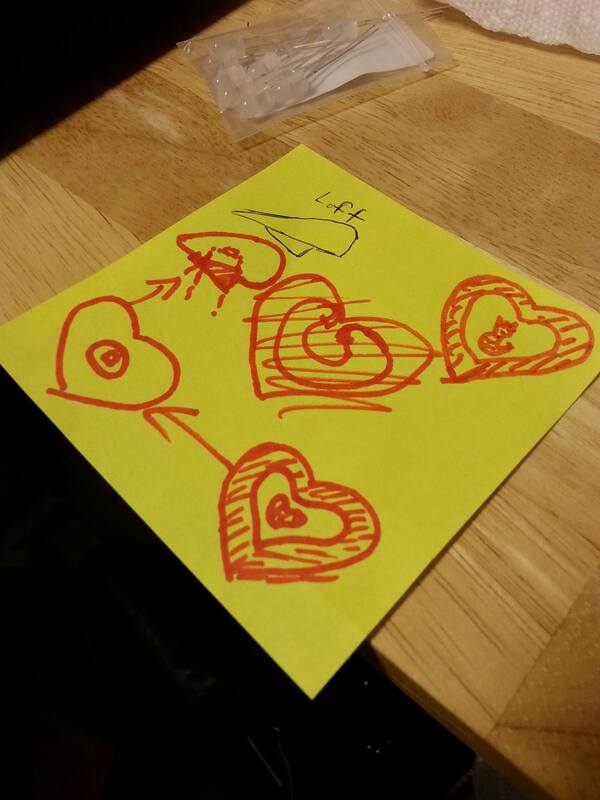 First it started with a post-it note drawing. 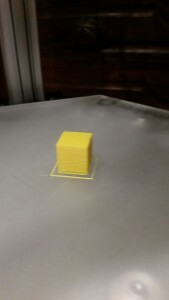 The .STL file was imported into MakerWare, which computed the slices for the 3D printer. 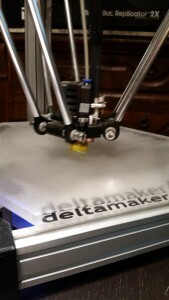 MakerWare generated the gcode. 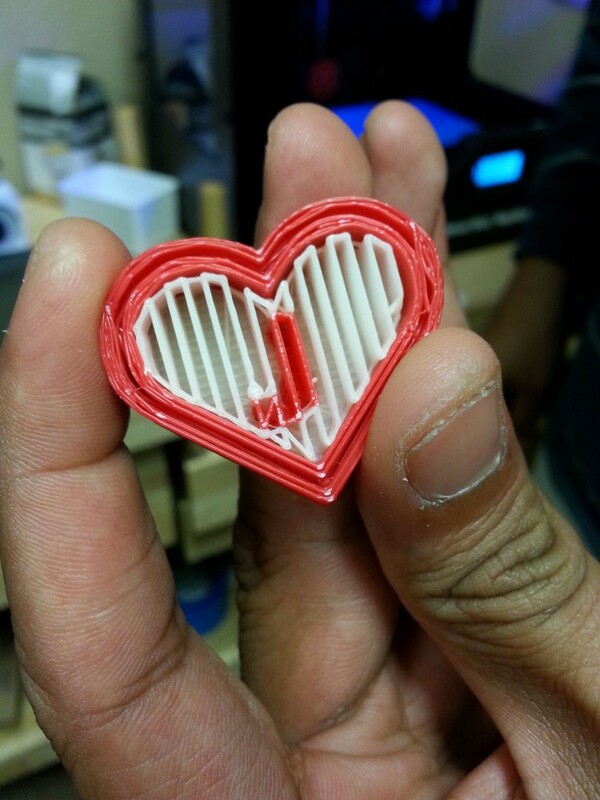 The gcode was saved onto an SD card, and put into the MakerBot 2x dual extruder and printed it. When it was completed, we inserted a battery-powered RGB LED flasher that we made in less than a minute. Instructions for that are below. We coiled the ends of the LEDs to pinch a CR1220 battery. We chose the CR1220 because it is a 3V battery which has small enough current that it is safe to connect directly to LEDs. No additional resistors or components needed. Then the LEDs and battery were placed inside the hidden compartment. Voila! 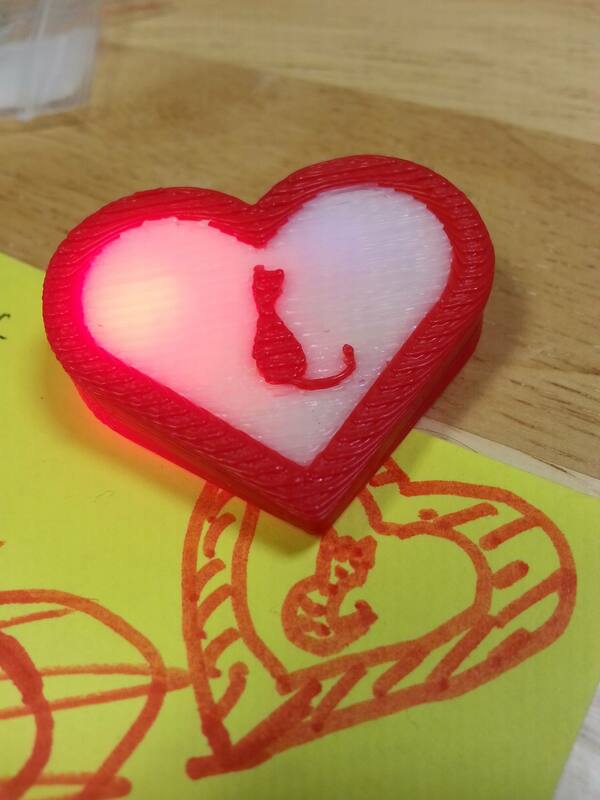 a flashing red and white heart for lovers of Gadgets, Cats, and Gadgetcat alike! The Adafruit PiTFT screen is a handy touchscreen that plugs directly into your Raspberry Pi. 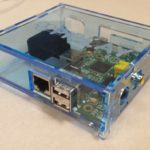 With a case that holds the screen, and a wireless keyboard, you can turn the Raspberry Pi into a tiny touchscreen computer! We wanted to make it as easy as Pi to get started 🙂 The easiest way is to just use SD card with Linux and the screen drivers pre-configured. Plug in the card, and it just runs. Like a laptop. So, we made a downloadable image file that you can copy onto your own SD card. Or, skip the download and get an SD card with the files pre-installed. Step 3: Install the image file on your SD card. 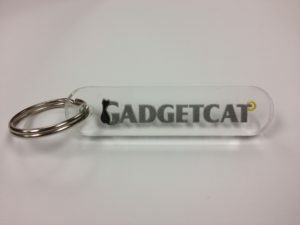 Gadgetcat founder featured on Adafruit blog! 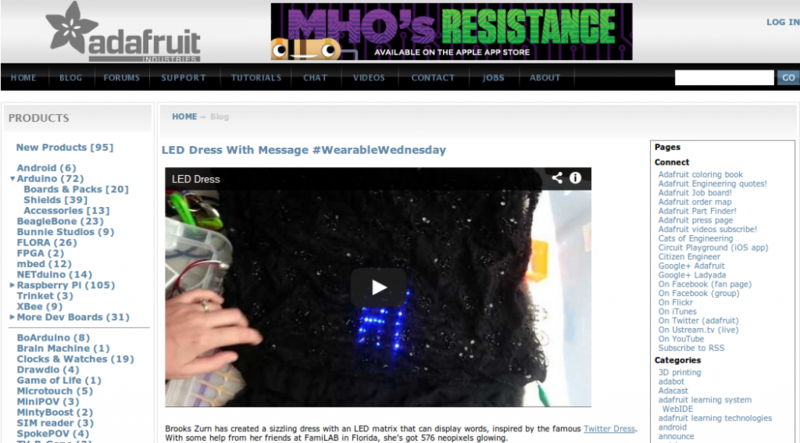 Gadgetcat founder Brooks Zurn was mentioned today on Adafruit Industry’s weekly Wearable Wednesday Blog! This Little Black Dress dress features four 144 strip neopixel meter strips and one 5v 10A power supply. New – we designed a PiTFT case! We got a bunch of the new PiTFT screens, and attached one to our Raspberry Pi B… and the screen fell over. One even cracked 🙁 It really needs a case. 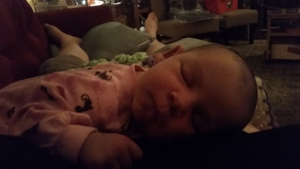 So… we made one! 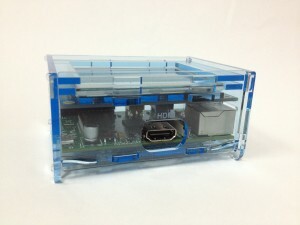 http://www.gadgetcat.com/product/modified-raspberry-pi-box-for-pitft-touchscreen/ This is a great little enclosure. 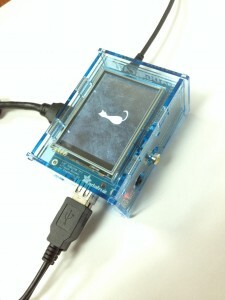 It is based on the Adafruit open-source case, and has an opening for the screen. It covers just the edge, and holds the screen securely in place without sliding, or touching other parts of the Pi internally which could potentially cause shorts. We hope it’s as helpful for you as it’s been for us! Free gift for new customers! We got some acrylic colors in and are now trying them out! So let’s put them in orders for new customers. 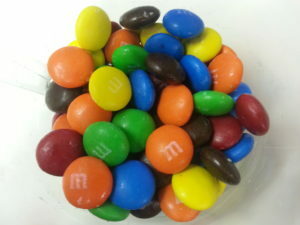 Made on-site. Here’s a pic of the latest version. If you’re an existing customer, and want one, email us at info@gadgetcat.com and we’ll get one to you! 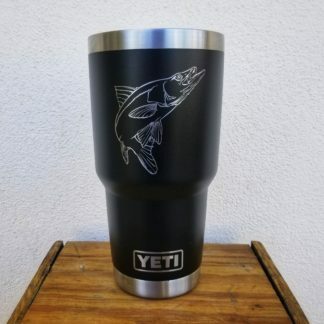 You may have noticed we started adding some product to the website. Thanks to some help from our friends at FamiLAB and the Orlando area, we did a thorough inventory of what’s in stock. Also figured out how to have special pricing on the website. Soon people will be able to find out what we have in stock, and their pricing, without having to email us personally. So far it’s working well, people are already successfully placing orders through the web interface. This will help us to streamline the ordering process for you. 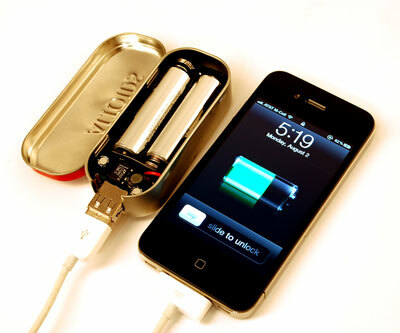 learn to solder, and leave with a battery-powered external iPhone/iPod charger! 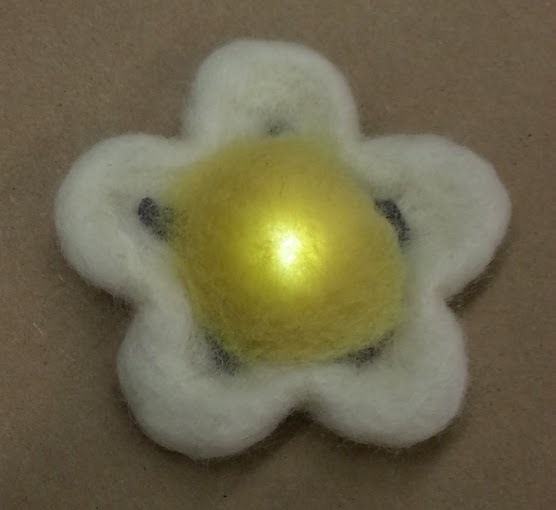 Basic electricity: Felt a glowing flower! With this kit, make your own flower that lights up. Especially a hit for kids. 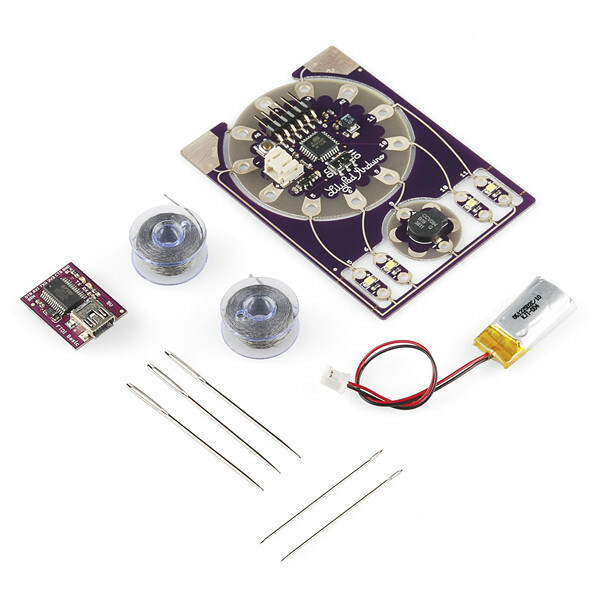 Kit for getting started with Lilypad Arduino. Includes fabric swatches that can be used to make a headband or a small purse! 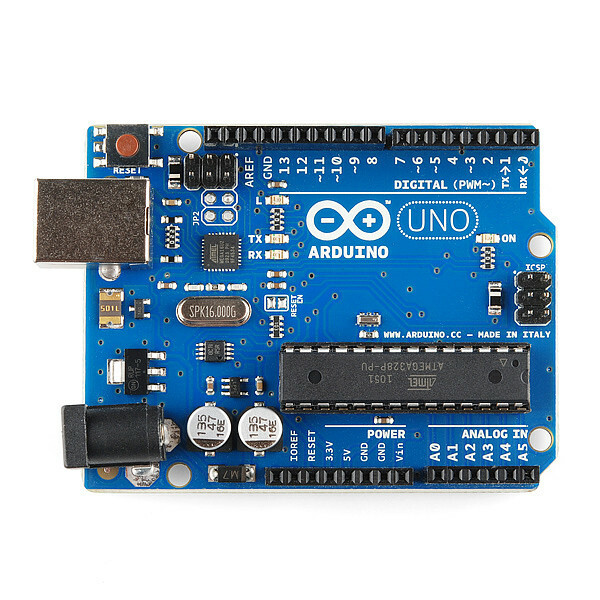 This class provides an introduction to the Arduino. Choose the basic option (each student leaves with a genuine Arduino Rev 3), or provide parts they can take home and play with. Each kit also includes a USB cable. Our goal is to make offering classes as convenient and inexpensive as possible, so you can focus on building your community!